In the world if health and fitness, chicken is a go-to source of muscle building protein and versatility of flavor. Add some healthy chicken breast recipes to your menu and find the perfect partner to your diet and fitness routine. Perfecting your diet isn’t always the most exciting thing to do. Without the right kind recipes, meals can become dull, repetitive and uninspiring very quickly. To help you mix up your eating routine, without falling off the wagon, we’ve created these truly delicious healthy chicken recipes. They’re lean, packed full of protein and tasty to boot. Read on to learn how to make them for yourself. There’s so much to love about a really good healthy chicken breast recipe. The main benefit of chicken breast is it’s lean. This means it’s a great source of low-fat, low-calorie protein. While that might not seem very important, it’s actually what makes it such a great ingredient for a weight loss diet. By opting for a high-protein diet, you can maintain a higher level of muscle, which in turn promotes fat loss  and can contribute towards a healthier body composition. As it’s low-calorie, chicken also fits well into a calorie-restricted diet. Of course, we’re talking about a plain chicken breast here rather than anything fried or battered. As soon as you add these extra bits, you can expect the calories and fats to go sky high. Not so healthy. They may taste good, but don’t worry, the flavor in our recipes will put fried chicken to shame. Whether you’re planning on losing fat or gaining muscle, or both, including chicken in your dishes can put you on the right track. On top of all the body composition potential, chicken breast contains a whole host of health-boosting nutrients, that will also nourish your body. Harness all the nutritious powers chicken has to offer and check out these delicious, healthy recipes today. We’ve created some truly tasty dishes that will keep diet boredom at bay, whilst giving your body the nutrients it needs to stay in top shape. This delicious healthy chicken breast recipe is the answer to your takeaway cravings. It’s a nutritious twist on an Asian classic, that helps you get benefits from all the goodness chicken has to offer, whilst packing a powerful flavor punch at the same time. Serve this up alongside some homemade egg-fried rice and stir-fried veggies for a well-balanced, healthy meal. Combine the sweetness of honey with the heat of chilis in this sweet and salty healthy chicken breast recipe. 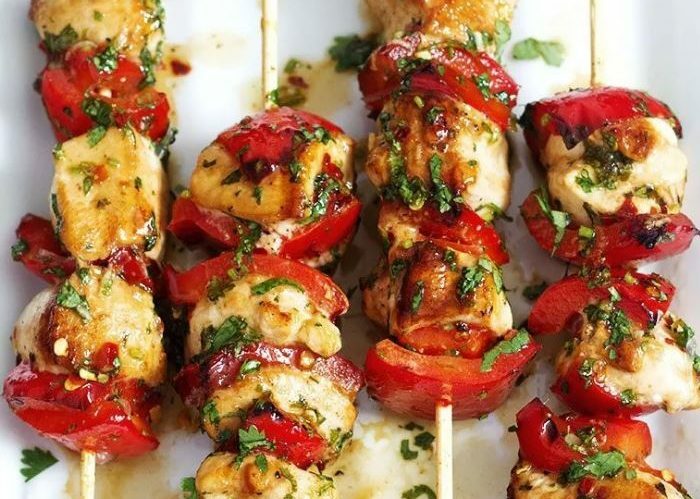 These grilled skewers will make a change from your usual baked chicken breasts, and give you a whole heap of flavor in every bite. Dish this up with a serving of wholegrain rice and a fresh summer salad. 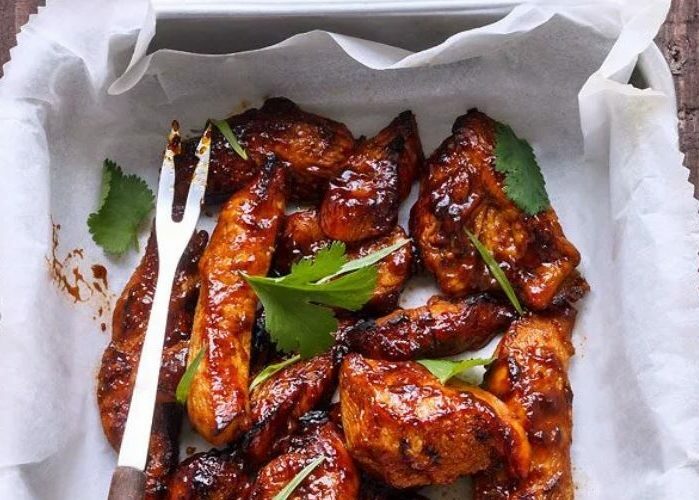 Pour the remaining marinade in a pan and place on a medium to high heat. Bring to the boil, then lower the temperature so it’s lightly simmering. Keep the mixture moving until it becomes sticky and thick, then remove from the heat. This is bruschetta re-imagined with a high-protein twist. Swap out the high-carb bread for a nutritious chicken breast and you’ve got yourself a delicious, easy-to-make dish that’ll brighten up your midweek dieting blues. 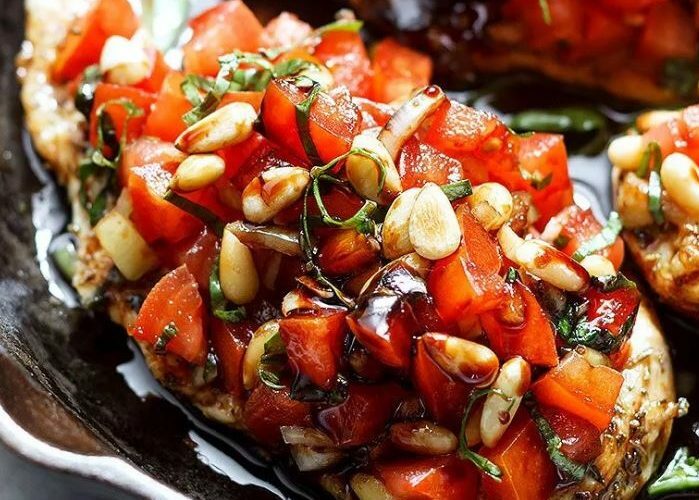 Fresh tomatoes coupled with sweet balsamic vinegar, served on a super healthy chicken breast – it packs in the flavor as well as the protein hit. Present this with a summery quinoa salad or a Mediterranean cous-cous to complete the meal. 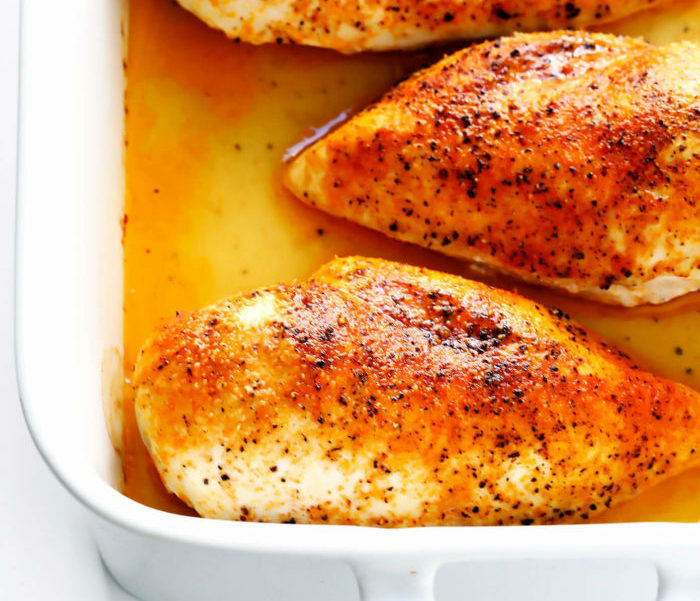 Mix up your weekly routine, hit your body composition targets and improve your overall wellbeing with these healthy chicken breast recipes. We’ve packed the flavor and the protein in these recipes to help you stay on top of your diet and keep your body in top condition. Check them out today, freshen up your weekly menu and take you’re your health to the next level with these healthy chicken breast recipes.